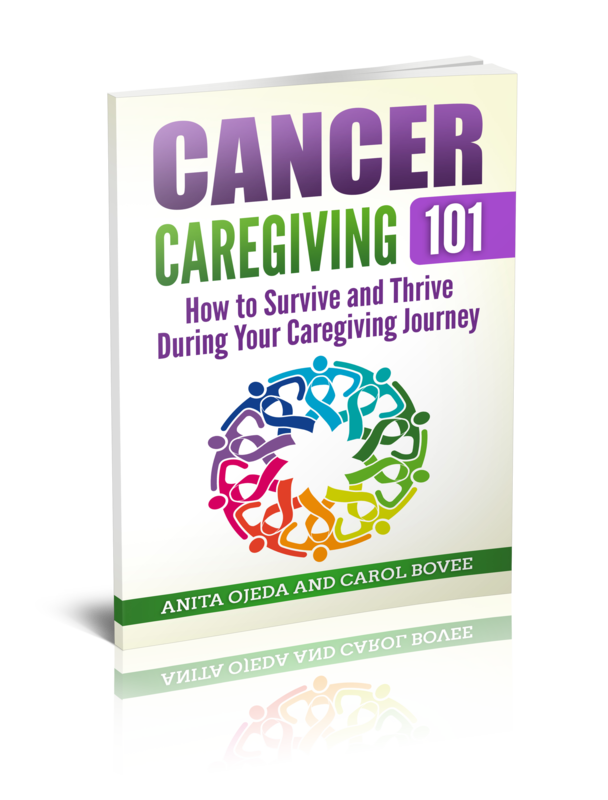 Creative and thoughtful gifts can make a world of difference to a tired caregiver. I awoke with a start, staring wildly at the profusion of trees to my left. My gaze swung right. More trees. I sat partway upright and saw trees in front, but then my gaze hit the rearview mirror. My four-year-old’s head glowed in the sunlight shining through the back window. The few stray hairs glinted, even though they were the same color as his pale bald head. His sunken, gray-rimmed eyes twinkled at me in the mirror. “Good job Mommy. The stories are over, we can drive on now!” He giggled. Suddenly I realized what had awakened me. The silence. Earlier we had stopped at the top of the mountain pass to put the CD into the car stereo and I had run around the car twice in the fresh mountain air in order to wake myself up for the drive home. It was 2:00 pm and I had already put in a 12 hour day, getting up early to get Andrew ready to drive to chemo, waiting during the spinal tap, yawning my way through the 9 hour chemo drip and blood transfusion, listening to Dora the Explorer and the Lion King for the 378th time that week (we were in the ‘intense’ phase of treatment, which pretty much meant no sleep for this tired caregiver). My tiredness was understandable, but not permissible. Life doesn’t quit just because your son has leukemia! I had jumped back into the car and started down the mountain, listening to Pastor Carl’s voice as he read stories to Andrew via the CD he had recorded for Andrew’s road trips. Several twists and turns that normally kept me awake and slightly anxious went by as we wended down the mountain and as I blinked my way through a sharp curve, I knew I couldn’t keep going safely. I had pulled off onto a wide spot and leaned my seat back, knowing full well that any time I did that while driving I was guaranteed to wake up and could keep driving. I had smiled to myself because it was the first story and I knew when it changed to the second story on the CD there was some gray noise that would let me know it was time to drive again. Oh.my.goodness. I had been out for over a half hour. Sleeping on the side of the road while logging trucks and cars whizzed past. What kind of danger had I put my son in? I looked around noting I had at least locked the doors and traffic on this road was minimal (which could be good or could be bad, depending on what was needed). Andrew sat happily in the back, thinking I had stopped to share a few moments of listening pleasure with him and he did not understand at all that actually mommy had been oblivious to the world, dropped in pure exhaustion. I sat up and shook my head fuzzily. I glanced around nervously but nothing seemed to be amiss. I reached over on the seat beside me and grabbed another CD from my pile. Ah, the one a previous student had sent me when she heard about Andrew’s cancer. A CD of songs that had brought her comfort last year during HER battle with cancer. I smiled as the song, “Trust His Heart” blasted through the speakers and Andrew’s squeaky-from-chemo-voice pitched in to warble along. Together we sang our way through songs like “One Day at a Time” and “Praise Him in the Storm” and I drove carefully through the curves down out of the mountain pass. How blessed I am to have friends that gave gifts from the heart, gifts of time and creativity that helped pass hours and give comfort. See more in the 31 Days of Unexpected Blessings from Caregiving.